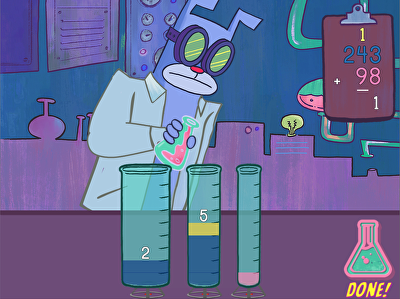 Addition is one of those foundational math—and life!—skills that you can't practice too much! Through our collection of interactive addition games, your child will look forward to practicing and ultimately mastering this essential skill set. 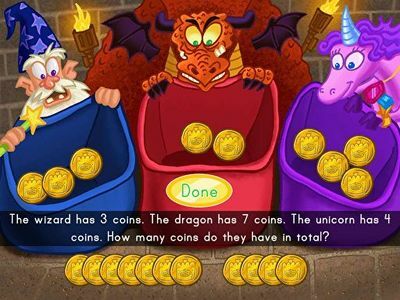 There’s a stimulating learning experience for every child, whether they're adding eggs to a nest with Birdee or ready to create potions with Professor Beardo using multi-digit addition with regrouping. 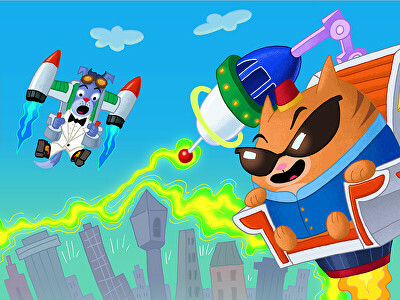 Only your kid's addition skills can help Secret Agent Floyd defeat the evil El Gato. 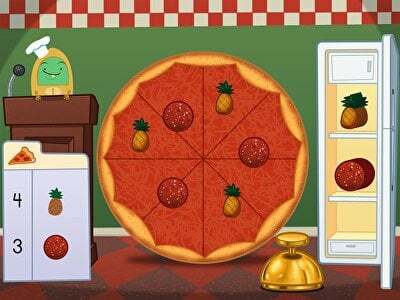 Kids practice concrete counting and simple addition at the pizza parlor. 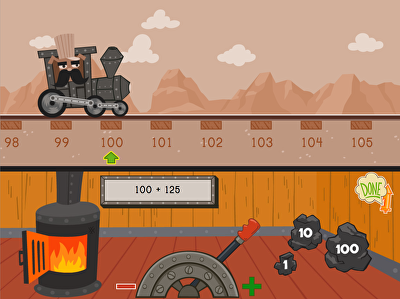 Kids practice two-digit addition to 100 in this action-packed number line game. Kids solve two- and three-digit addition problems by regrouping in order to help the Professor grow out his beard. 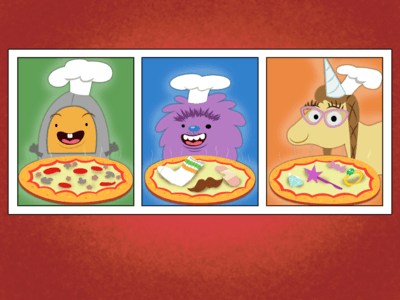 Counting and adding get served up in this game that challenges kids to add toppings to a giant pizza. 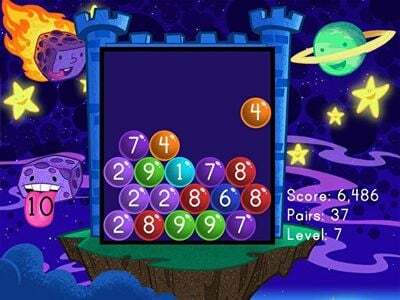 Kids click on bubbles that add up to 10 to try to keep the bubbles from overflowing. 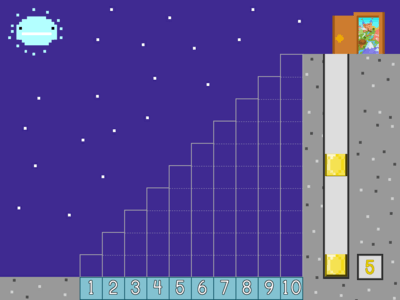 Kids sharpen mental addition skills with this silly construction math game. 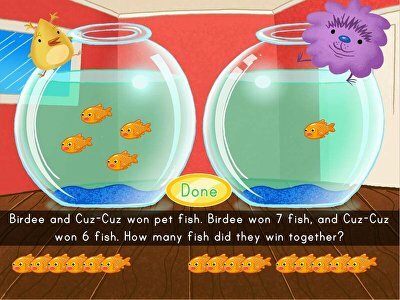 Students help Birdee and Cuz-Cuz count up all the fish they won in this addition game. 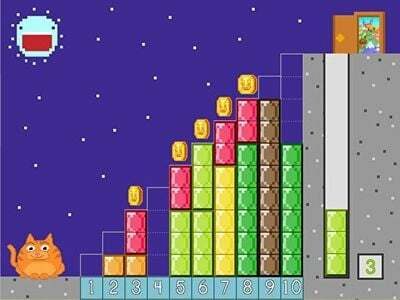 Your kid will practice addition by using number pairs to fill a staircase. Kids must move fast to find addition pairs that total a target sum within 20. Add it up! 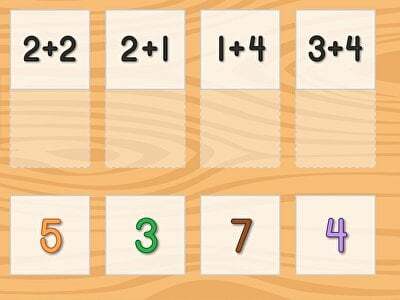 Kids must use mental addition to match each equation to its answer. 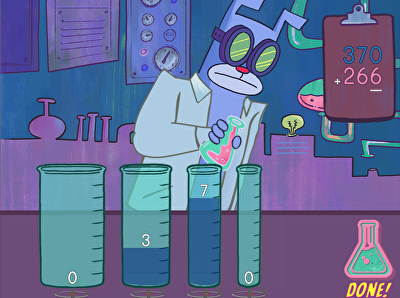 Kids mix up a potion to help Professor Beardo grow out his beard, and practice place value, in this multi-digit addition game. Addition experts, come on down! Practice quick-thinking two-digit addition in this educational game that tests off-the-cuff adding skills. 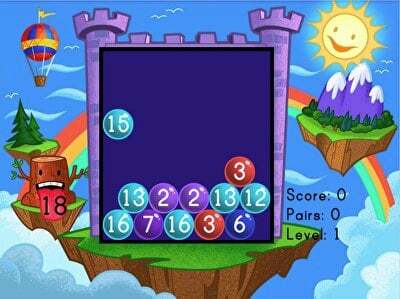 Kids add to different target numbers, and must be quick; the balls are dropping fast! 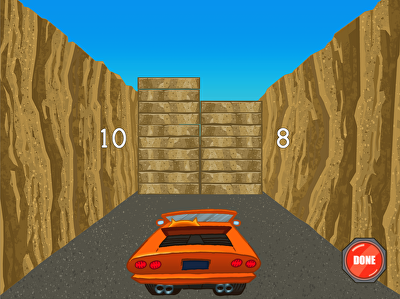 Kids practice mentally adding sums up to 30 in this fast-paced addition race. 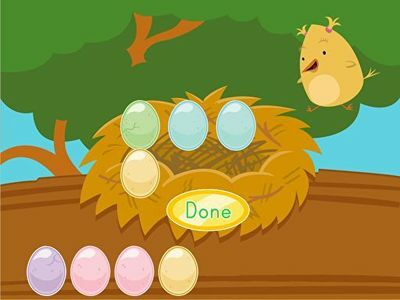 Your kid will add the right number of eggs to the nest to practice addition facts. All aboard! Kids solve addition problems on a number line using 1, 10, and 100 unit manipulatives. Kids practice addition and subtraction with manipulatives in this silly shopping game. 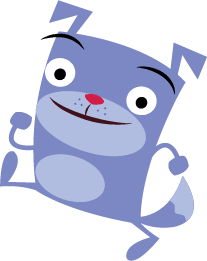 To help Roly move through obstacles, kids learn a regrouping strategy to make addition within 20 easily! 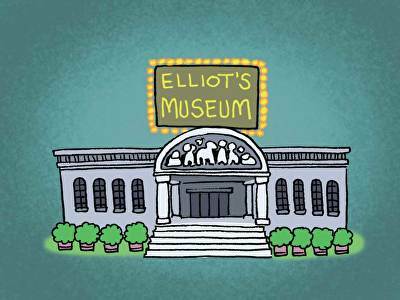 Kids help Elliott prepare treasures for her museum by answering word problems by using a tape diagram. Fe, fi, fo, yum! 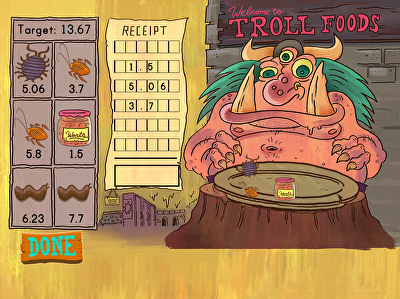 Kids practice decimal addition to the tenth and hundredth place with this silly game. 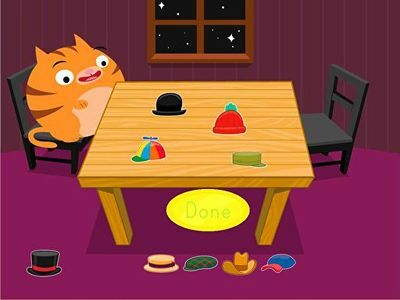 Your kid represents addition facts with objects by counting Roly's hats. Learning addition is a building block to future math success. With this entry point into the world of mathematics, your child will have the opportunity to study all kinds of subjects, from chemistry to physics, astronomy to the Earth sciences. To help your child find the joy in math, start them out with addition games that serve as a much more interesting alternative to repetitive drilling. 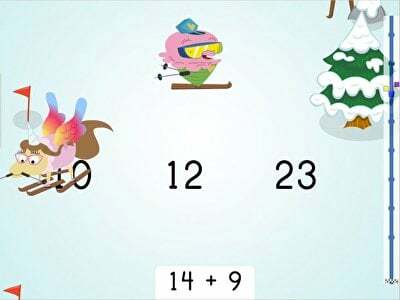 You can select from among the games above, or just let your child click away and play their way through addition games that will enhance their understanding of how different numbers combine to create a new number. 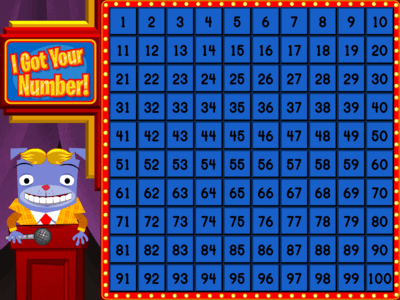 If your child is still working on their numbers, there are many number games that will quickly increase their knowledge and comfort with numbers. 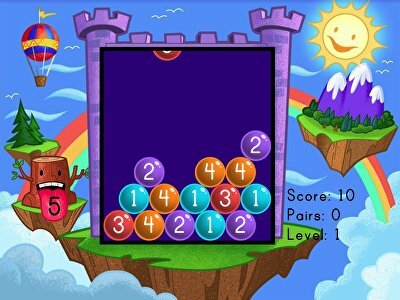 Giving your child access to addition games, whether on a computer, tablet, or phone, lets them establish a good relationship with math that will foster future interest and excitement in STEM subjects. 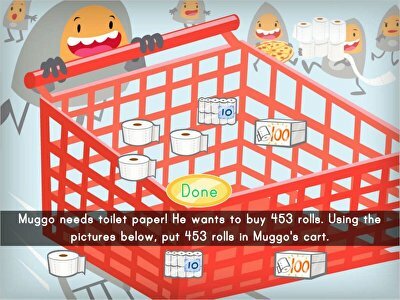 KidsNumbers.com is now a part of Education.com. We have handpicked a page similar to what you were looking for!